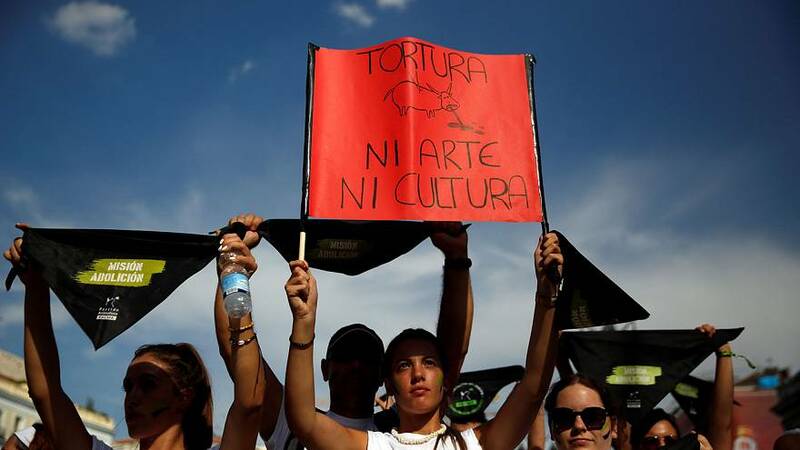 Thousands rallied in Madrid on Saturday to call for an end to bullfighting, adding their voices to a growing animal rights movement that has prompted some local authorities to clamp down on the centuries-old tradition. Bullfights and other festivals involving chasing or killing the animals are still common in Spain and have a loyal following. Some annual events such as the San Fermin bull runs through the crowded streets of the northern city of Pamplona attract many tourists too. Supporters of a wide-spread ban on bull festivals chanted: “It’s not a tradition, it is murder” at the demonstration in the Spanish capital — the biggest of its kind to date, according to animal rights political party Pacma.